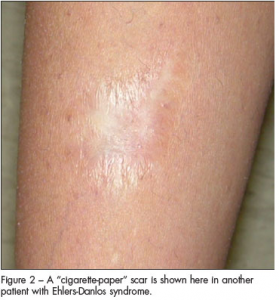 Joint hypermobility syndrome, previously known as benign joint hypermobility syndrome, is a heritable disorder of connective tissue that presents with symptomatic hypermobility predisposing to arthralgia, soft tissue injury, and joint instability. It is indistinguishable from the hypermobility type of Ehlers-Danlos syndrome. Its complications can include autonomic dysfunction, chronic pain syndrome, proprioceptive impairment, premature osteoarthritis, dislocations, intestinal dysmotility, and laxity in other tissues causing hernias or uterine or rectal prolapse. Joint hypermobility is very common, occurring in 10-20% of populations of Western countries, and higher in India, China, and Middle Eastern countries. It is important to distinguish between joint hypermobility and joint hypermobility syndrome. 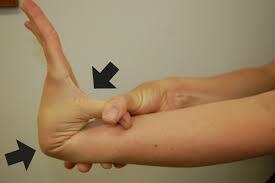 People who have hypermobile joints without symptoms are people with hypermobility. Those with symptoms attributable to their hypermobile joints may have joint hypermobility syndrome if they satisfy the Brighton criteria. In a recent survey among members of the Hypermobility Syndrome Association, 52% of 251 patients waited over 10 years from the onset of symptoms to get a correct diagnosis. Inappropriate and potentially harmful diagnosis or treatments such as rheumatoid arthritis, hypochondriasis, or somatisation. Excessive physical manipulation may cause avoidable damage, such as (a) precipitating subluxation or dislocation of intervertebral or peripheral joints, (b) rupture on ligaments, joint capsules, muscles, or tendons, or (c) precipitating pathological fractures in fragile bone. Exercise therapy may be either excessively forceful or ineffective. Chronic pain may sometimes lead to immobility, deconditioning, dependency, and depression. Diagnosis of hypermobility syndrome is clinical as currently no blood or imaging markers are available to confirm the diagnosis. The joint symptoms are secondary to a vulnerability to injury of fragile collagenous tissues (tendons, ligaments, muscles, bones, cartilages, and skin). To establish an accurate diagnosis. Marfan’s syndrome, or other forms of Ehlers-Danlos syndrome, such as vascular should be kept in mind. 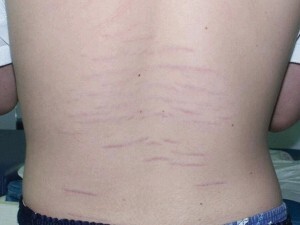 A positive family history of sudden early death from aortic aneurysmal dissection and/or rupture should suggest the possibility of Marfan’s syndrome, and a history of major spontaneous arterial rupture or uterine rupture in childbirth should raise suspicions of the vascular type of Ehlers-Danlos syndrome. Assessment of the musculoskeletal system, systemic involvement (dysautonomia, gastrointestinal dysmotility), declining mobility, and quality of life. Core and joint stabilising and proprioception enhancing exercises. The use of techniques to restore mobility of joints or spine that was lost as a result of deconditioning and kinesiophobia (fear of movement). Home based programme of specific exercises may improve proprioception, symptoms, and quality of life. For patients with chronic pain for which analgesics are ineffective, a pain management programme based on cognitive behavioural techniques done by a specially trained pain psychologist may reduce pain catastrophising, anxiety, and interference of pain with daily life (available at the Oshawa clinic, psychology department). For patients with foot or hand problems, refer to a podiatrist for a mechanical foot assessment and tailor made orthotics or to an occupational therapist for help with writing and other work related hand problems. 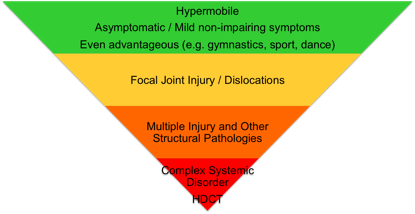 Joint hypermobility syndrome is diagnosed in the presence of two major criteria; one major criterion plus two minor criteria; or four minor criteria. Two minor criteria will suffice where there is an unequivocally affected first degree relative. Beighton score of ≥4 (either currently or previously). Arthralgia for longer than three months in four or more joints. Beighton score of 1, 2, or 3 (0, 1, 2, or 3 if aged > 50 years). Arthralgia in one to three joints or back pain or spondylosis, spondylolysis and/or spondylolisthesis. Dislocation in more than one joint or in one joint on more than one occasion. Three or more soft tissue lesions (eg, epicondylitis, tenosynovitis, bursitis). 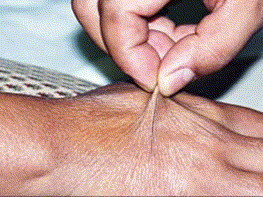 Marfanoid habitus (tall, slim, ratio of span to height greater than 1.03 and/or ratio of upper segment to lower segment less than 0.89, arachnodactyly). Eye signs: drooping eyelids, myopia, or antimongoloid slant. 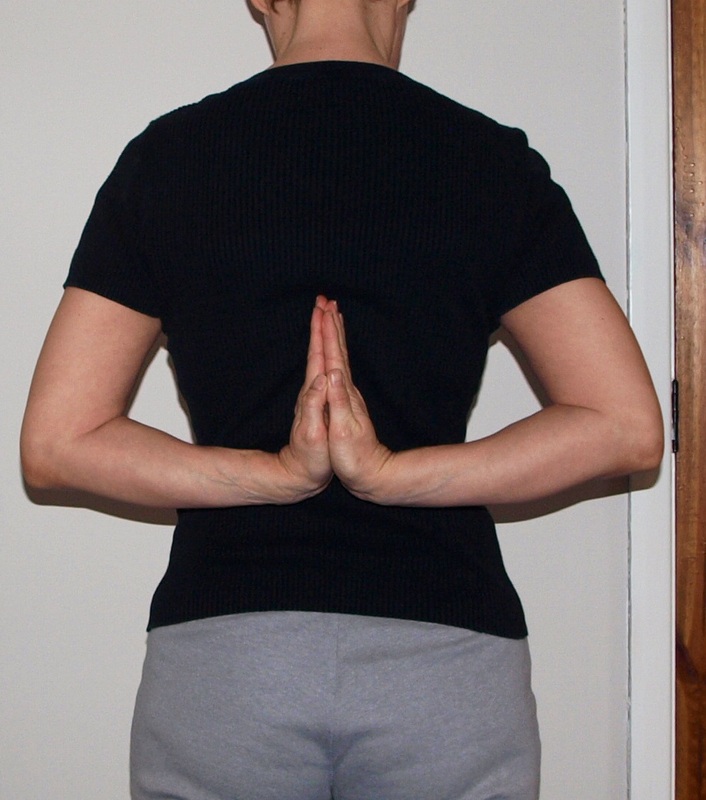 putting your palms flat on the floor without bending your knees (1 point). Hypermobility foundation website address can be found under the “Useful links”. See “medical news” for more information. 1. Joint hyper mobility by A. Hakim, R. Grahame. Best Practice and Research Clinical Rheumatology. Vol 17. No.6, 989-1004, 2003. 2. Hypermobility and the hypermobility syndrome by J. Simmonds, R. Keer. Manual Therapy, 12 (2007); 298-309. 3. Joint hyper mobility syndrome by Juliette Ross, Rodney Grahame. BMJ 2011;342:c7167 (Published 20 January 2011). You may leave your email address to the “Your comments on the website content” and will be connected with other patients with hypermobility syndrome if more than one respond.